"This market isn't mature, content-wise. 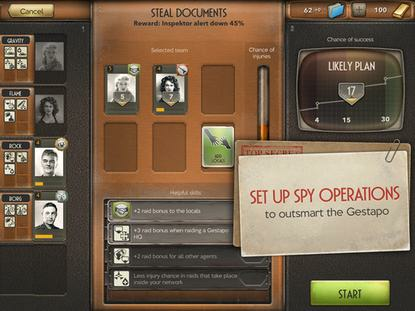 We tested this with our first game, Spymaster, which came out globally in September," Seppänen told the audience at Slush. "We felt this really validated our approach that you can try something different that isn't on the top lists yet ... I believe the really big successes for all of us are in building new categories of games with new visual styles, themes and game mechanics," Seppänen said. "This game started in a rather unconventional way. Our lead programmer came back from his summer holiday and said he had developed a game, and showed a prototype on his phone," Seppänen said. The prototype was so addictive that it had to be developed, he added. PlayRaven's other in-the-works game is an MMO (massively multiplayer online) game called Convoy Commander, which takes place in a post-apocalyptic America that's been covered by snow due to climate change. Players control a convoy of vehicles. PlayRaven isn't the only company at Slush that's focusing on games for smartphones and tablets. Next Games and Super Evil Megacorp are going down that route as well. "Mobile makes sense because it's the only growing platform really. [Becoming successful] definitely isn't easy, but it's a doable way of building your own business," said Teemu Huuhtanen, CEO at Next Games. Super Evil Megacorp and its MOBA (multiplayer online battle arena) game Vainglory gained a lot attention when it was featured during Apple's September launch of the iPhone 6. The game, which pitches two teams of three players against each other, became available in North America, South America, Africa and the Middle East on Tuesday. It has been available in Europe since last week. "Apple's tablets, the iPhones and Android-based device are poised to take their position alongside PCs and consoles, and become primary devices for core gamers," said Heini Vesander, marketing director at Super Evil Megacorp.